Yixing teapots date back from the Ming Dynasty which is from 1368-1644. They are designed to look attractive and be quite functional. Originally, Yi Xing tea pots were used to brew oolong, Pu-Erh and Chinese black tea. Sometimes, green tea can be brewed in a pot but it would require much care to ensure the tea leaves are not overcooked as these teapots retain very high temperature even after a long while. It was determined during the Song Dynasty that Zisha clay was the most ideal to be used for brewing tea due to its distinct mineral content. The clay has iron, quartz, mica, kaolin, hematite, isinglass, among many other minerals. 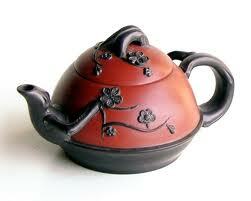 The clay’s iron enables it to retain heat of the water which then allows for deep and rich tea infusion. Quartz and it’s other minerals leave remains after the clay is fired between 1100-1180 degrees Celsius. This results in a unique double- pored surface which is the main reason that makes Yixing teapots indispensable for those who want to drink high quality tea. It’s many miniscule holes allow the teapot to adjust to sudden changes in temperature and also allow tea to breathe, thereby bringing out the tea’s unique flavours and aroma. 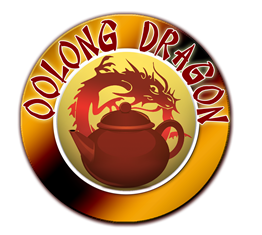 The oils of the tea are absorbed by the pot’s walls, further enhancing the tea’s flavour. Brewing one kind of tea in your Zisha teapot will definitely give it a unique character . Brewing different kinds of tea in your Zisha teapot will ruin the taste of your tea as the oils from the tea you brew is absorbed by the pot’s walls and is transferred to your tea every time you use it.